Researchers cast doubt on one of the scariest ideas in climate science. It’s not news that climate science can be alarming. But in this video, climate scientists explain that one of the scariest ideas in the literature — the methane “time bomb” — turns out to be less worrisome than some have feared. “This is a call to action, not a declaration of defeat,” says scientist Ben Abbott of Brigham Young University. The idea terrified Juliana Musheyev, a Florida-based climate activist featured in the video, produced by independent videographer Peter Sinclair. Her fear led her to read scientific papers on the subject and take her questions to experts. “I thought if I could get a good grasp on what was going to happen, I could cope with it,” she says. What she learned is that frozen methane deposits, known as gas hydrates, are unlikely to melt down in the near future. 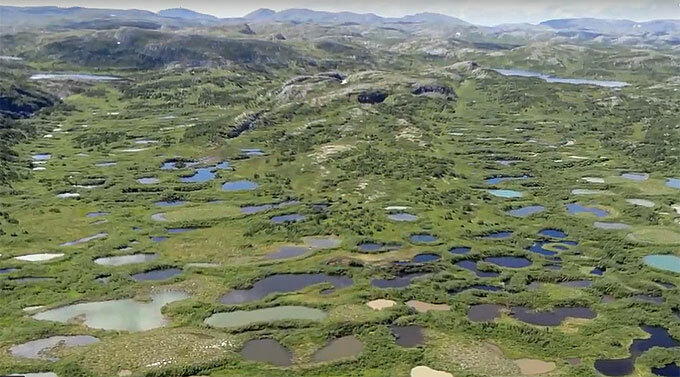 Though a near-term bomb-like methane release is unlikely, it is true, and concerning, that the Arctic is gradually releasing methane as permafrost melts. That’s still dangerous, and it’s time to take action, scientists in the video suggest. “If we mitigate, or reduce, human emissions, [it] looks like you can avoid 70 to 80 percent of the permafrost climate feedback,” Abbott says.